This is a thank you letter from the student who participates in my tea class. ”Going on yesterday's trip changed my life. Everything that I thought about and have heard about the Japanese culture was true. Everything is all about respect and peacefulness. The experience was amazing. 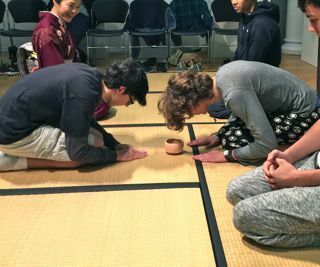 We were able to watch a tea ceremony, participate in the tea ceremony, and make tea. 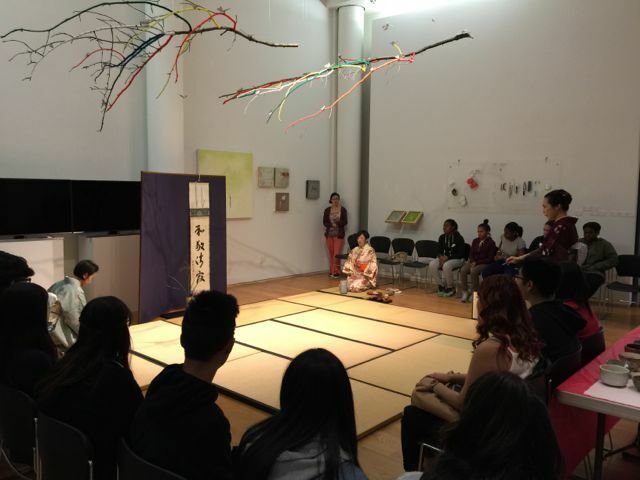 When I first entered the building and saw the tatami mats and the scrolls and the kimonos on the people I felt like I had already left New York. The people greeted us with a lot of respect. The first thing I noticed is that they were all smiling and they said hi with a bow. The reason this trip changed my life is because after seeing how respectful, well mannered, peaceful and kind Japanese people are I am going to marry a Japanese woman. Or just move to Japan with my family. 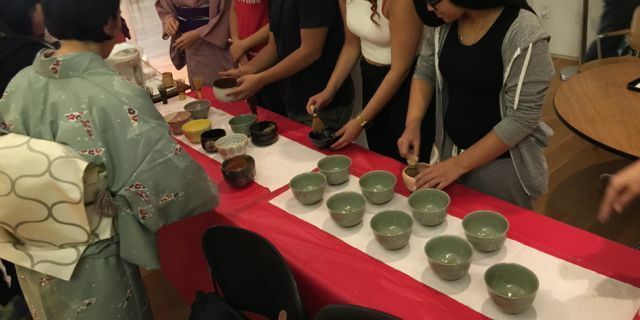 About 30 High school students by my tea class in Manhattan, came to participate in my tea class. The High School students making tea using a whisk. 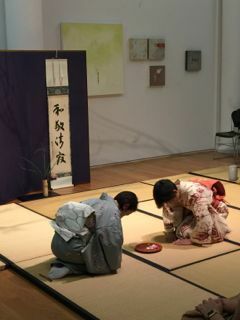 A student brings a tea bowl to the guest and bows. Very nice!! They had an attitude of politeness the whole time in the class and they seemed to enjoy and be interested in the tea culture. Thank you very much to come join my class. And I am so happy to receive such a lovely thank you letter…..